"able to prepare for vehicles built in full conformity with this approval to be presented for registration." The four certificates were for DAF, Mercedes, Scania and Volvo and mean we can mount mixer drums on these chassis and do all the bodywork with the national authority confident that the work will be carried out to the standard required for registration. 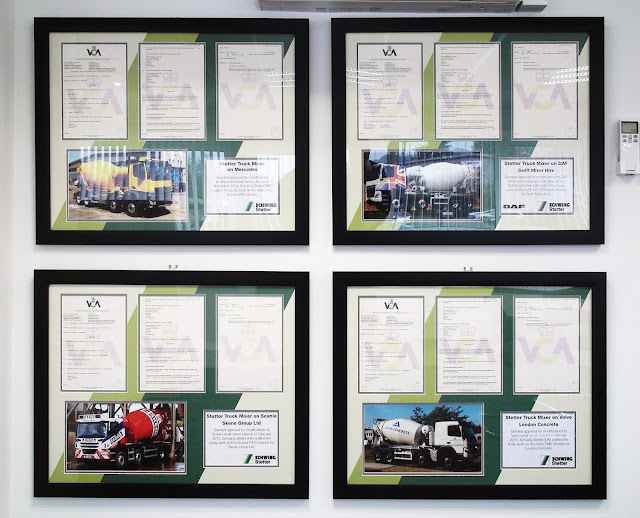 The actual certificates are three pages long and we decided it would be nice to display these, together with the vehicles they refer to. These four displays, shown above, now sit proudly in our board room.